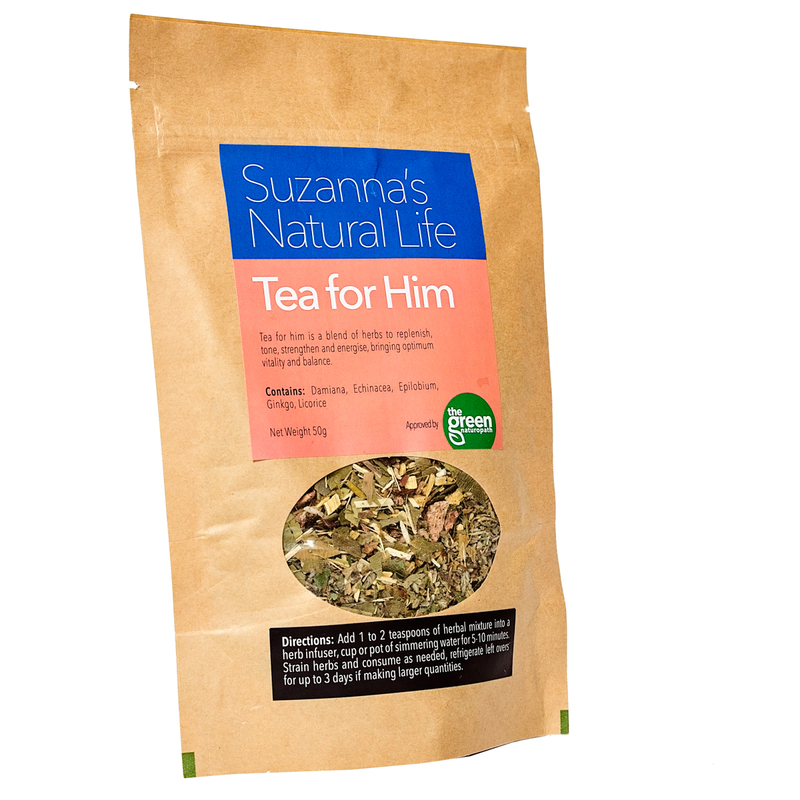 Tea for him is a blend of herbs to replenish, tone, strengthen and energise, bringing optimum vitality and balance. Damiana*, Echinacea*, Epilobium*, Ginkgo*, Licorice*. Damiana and Epilobium assists with kidney health, wellbeing and sexual function in men while Epilobium also helps assist in reducing prostate symptoms. Echinacea and Licorice are used in this tea to assist in reducing stress and adrenal fatigue while enhancing the immune system, adrenals and energy levels. Ginkgo is high in antioxidants and properties to assist with stress, anxiety, fatigue, cognition and memory.